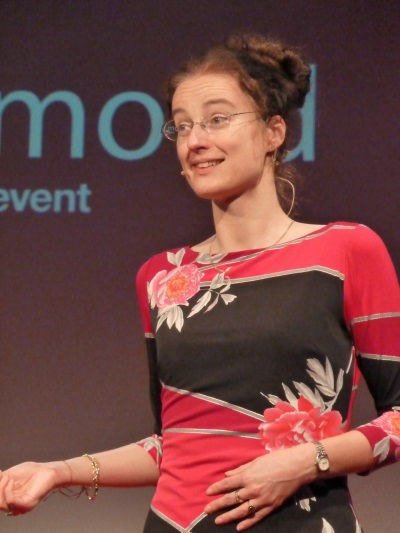 Marjolein talked about Unlocking Creativity at the TEDx event in Roermond. She drew from her latest research on factors that hamper or stimulate creativity as a way to solve problems and innovate in large organizations. The live-stream had more than 500,000 live viewers. What makes you creative? Does a lack of money hinder your creativity, or do you get motivated instead? Does creativity need constraints? This talk delves into the effect of constraints on employee creativity. Some research shows that constraining factors on the organizational level are detrimental to organizational creativity. Other studies suggest that constraints could stimulate creativity rather than suppress it. In her talk Marjolein Caniëls offers a new perspective to explain these seemingly contrasting findings. In her research she found that being confronted with constraints makes employees indeed feel challenged and creative. At the same time, these constraints make it impossible to actually be creative. Constraints may bring out the best in people in terms of feeling ingenuous, but constraints still limit the actual room for creative solutions. Even though leaders set creativity as an important goal, more often than not creative ideas are routinely rejected because they are seen as being to radically new, and therefore too risky. The consequence is that ideas are not put to the test. In such organizational cultures employees can maintain a self-image of being creative. Unless ideas are put to the test, true creativity will not get a chance. This insight provides an opportunity for organizations, which should not be wasted. Ideas need to be put to the test! Testing of ideas goes hand in hand with accepting occasional failures. Failing ideas provide valuable information for the direction in which solutions can be found. This is what Learning Organizations do. Hence, leaders should stimulate idea generation, be open to creative ideas, and welcome occasional mistakes. Intelligent failures should be awarded. Likewise, employees should believe in their ideas and not be discouraged by the possibility of failure. Together, leaders and employees will unlock the creative potential that is already there!